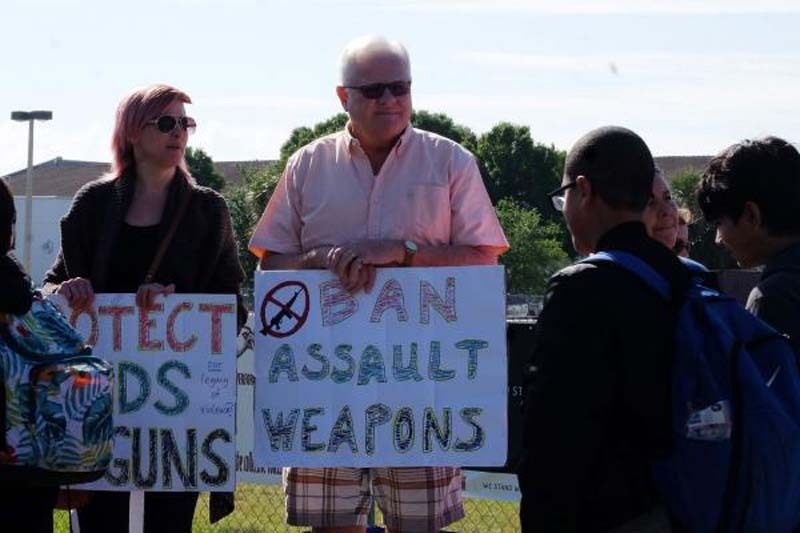 The city of Boulder, Colo., banned the sale and possession of "assault" weapons this week as gun-control efforts in the state flagged earlier in the month. The Boulder City Council voted unanimously Tuesday in support of a new ordinance that also bans bump stocks and magazines capable of carrying more than 10 rounds within city limits. The ordinance defines "assault" weapons as "semi-automatic firearms designed with military features to allow rapid spray firing for the quick and efficient killing of humans." The council exempted law enforcement officials, members of the military, competitive shooters and people who hold federal firearm licenses. People who owns an assault-style weapon before June 15 may keep it if they pass a background check, obtain a certificate from the Boulder Police Department, designate a safe place to store the weapon and only possess the weapon at a gun shop or on their property. They also must report theft of the weapon within 48 hours. The law goes into effect July 15 for the accessories and Dec. 31 for the semi-automatic firearms. By those deadlines, people who own the banned items must turn them in to authorities, break them so they won't work, get rid of them or obtain a city permit. Unlike the banned firearms, the bump stocks and high-capacity magazines will not be grandfathered in. An attorney from Mountain States Legal Fund attended the council meeting and promised to sue city leaders over the new ordinance on behalf of an unnamed client. "Innocent men and women are now criminals and Boulder's officials could not care less. Shame on them," the organization said on Twitter. Council member Bob Yates wrote in a blog post that even though he is a gun owner, he voted for the ordinance because "it will make us incrementally safer." "Because it will tell our ineffective state and federal legislators that cities will act when they fail to," he wrote. "And because it's the right thing to do." Boulder's new law comes as the state failed to pass a so-called "red flag" gun warning bill, which would have allowed police and family members to ask a judge to have someone's gun temporarily removed. A slew of gun-control measures have come up for vote in city councils across the country, and federal and state legislatures in the months since a mass shooting at Marjory Stoneman Douglas High School in Parkland, Fla., killed 17 people.